One of the things I most enjoy about my mirrorless camera is its ability to use (with a suitable adapter) just about any sort of lens – including the the kind bought of ebay for very small amounts of money. This is taken using a SMC Pentax-A zoom, 35-70mm, which is pretty much the kind of all purpose lens that would have been on any keen tourist’s film camera in the way-back-when. 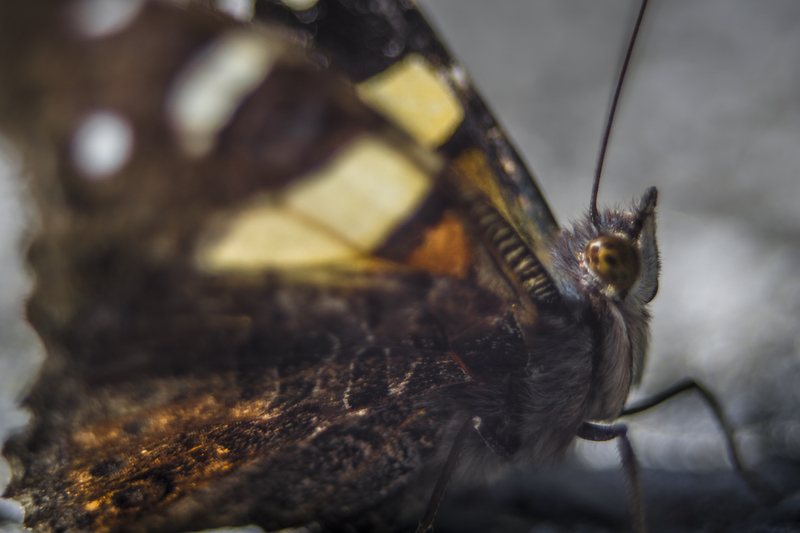 It’s capable of quite close focus, but with the addition of a couple of macro extension tubes it gets verrry close, to the point where you appreciate that a butterfly is a very 3D creature. This entry was posted in macro, photography and tagged butterfly, vintage. Bookmark the permalink.